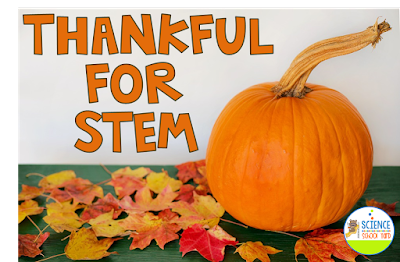 I Am Thankful For STEM! 1. "STEM stands for Science, technology, engineering, and math and sometimes Mrs. Heinrich even adds Art to make it STEAM!" 2. "It's okay if it doesn't work right away, you can go to plan B and that might just work!" 3. "That's a good idea, but if you tried having a bigger base it might be sturdier!" 4. "We never did STEM at our school. I love STEM!" 5. "Mrs. Heinrich makes Science fun!" I teach an after school STEM class and on Halloween I had the pleasure of taking every student that showed up at our after school program (which ended up being 12 students out of over 100). I took four high school helpers to join us as well. 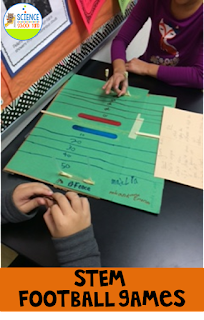 I set up three competitive STEM challenges: first a pumpkin transporter only using string and a scissors...second candy carrier cars made from candy and had to carry candy...and third candy corn catapults. The students once again told them what STEM stands for when the high school helpers asked. The high school helpers also shared with the kids how lucky they were to be able to have fun in school because they don't get to do things like that and didn't when they were "young". I shared with them that it isn't just "fun"...but so much more. I asked them to step back and watch what they saw. They observed the way they were helping each other...they just fixed a problem by adding to their structure...they were even trying to explain how it will work when their partner doesn't get it...and even getting the same supplies each group looks different! Since Halloween, the high schoolers have "volunteered" in my STEM class and rotate being able to "help". They had so much fun that they now fight over who gets to be in STEM class! What does this say? That adding STEM is worth a try! That STEM is hands-on fun, yet can tie in academics, the engineering design process, and an amazing amount of reflection and problem solving. Learners are able to share what they made and be proud of their successes! It isn't just engineering and building, but so much more! Now, time for you to be thankful for STEM, too! My friends and I over at STEM Activities For Kids would love to share with you a variety of ways to integrate STEM into your November so that you students can be thankful that you did just that! 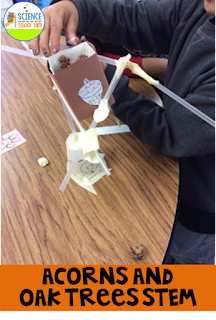 Here are some STEM ideas that I do with my students in November...you will be thankful you stopped on by! Football Games in after school STEM class! Run Turkey Run Mazes...love this one because I used this with an older group and younger group and when the younger kids were done, the older kiddos finished what was started! Love that we focused on what was the structure so far... what needed to be done...and who was going to work on finishing it up! You can see the story line throughout the examples! Scarecrow making...being taught through Balance and Motion and Language Arts! 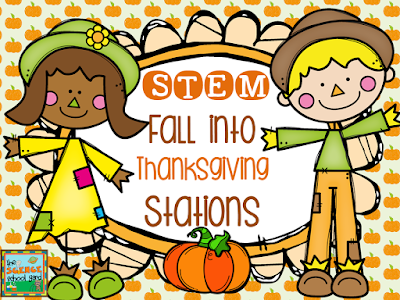 All of these STEM Fall and Thanksgiving based ideas can be found in my Fall Into Thanksgiving STEM Pack! Get ready to engage your learners this November! 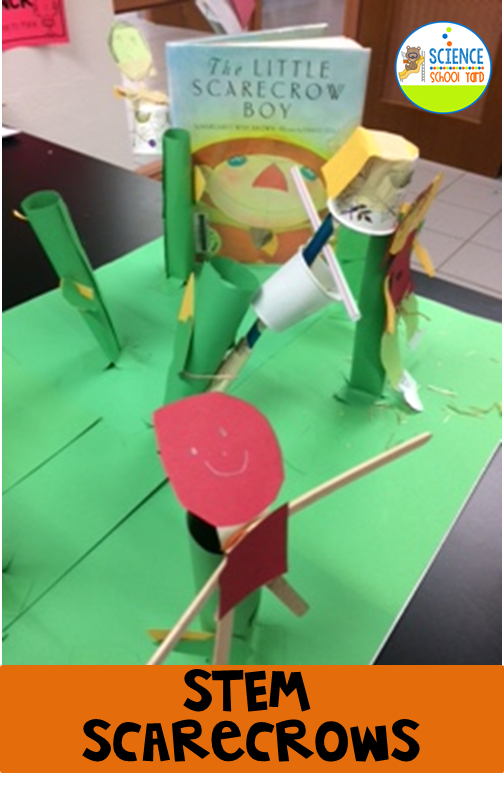 Pilgrim themed activities including boats...pilgrim hats...a shelter...and harvest holders are just around the corner! 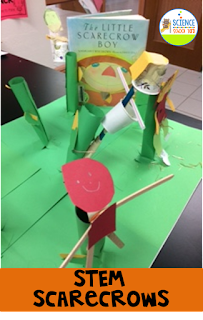 (fifth grade learning about history and science with after school STEM class connections). 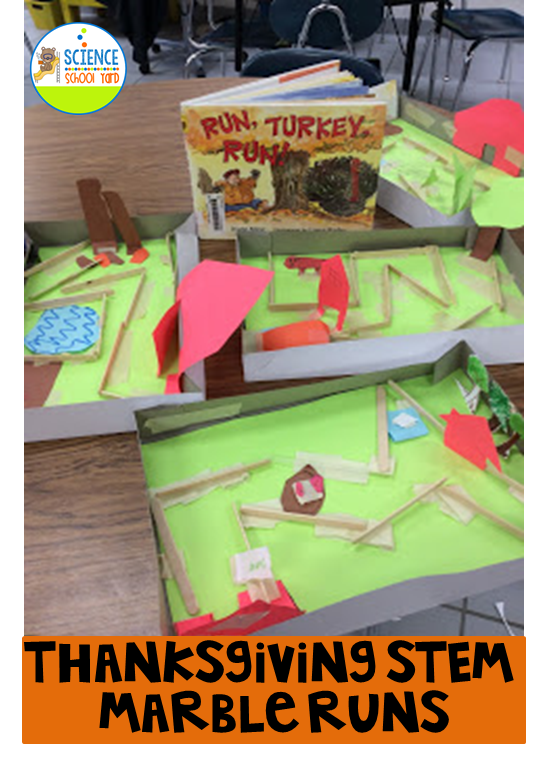 Stop over at STEM Activities For Kids to find even more Thanksgiving ideas from my amazingly talented STEM friends to find out ways that they are thankful for STEM, too!